Durandal DIY SE Tube Amplifiers "
Welcome! 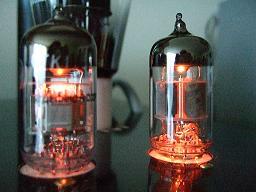 This DIY site is dedicated to tube amplifiers and related audio stuff. Late 2008 I started building tube amplifiers. At that time I got to know Mr. Mizushima. He was my 'mentor' in my first DIY tube projects; An EL84 and then a 2A3 SE amplifier. Thanks to him this site came to existence. My first projects can be seen on his website under the EL84 SE tab. Since then a number of projects have come to see the light. Listening to music has been a passion of mine since childhood, experimenting and building around sound gear too. On this path, I came to appretiate low power class-A amplifiers (JLH), AlNiCo full range vintage speakers on open baffles and finally DIY single ended tube amplifiers. Listenig to my first home-brewed EL84 SE amplifier got me beside myself for joy, and this is addictive! I find tubes breathe life into music in a special way. The 'ingredients' of my 2A3 single ended amplifier come from Japan, US, Russia, China, Canada, UK, Germany and Spain. I wish the harmony such international synergy can achive, will find its way to more and more aspects of human live around our globe. Hope you find the contents interesting and maybe inspiring too. Be well! Cambridge Audio DacMagic more magic?